Today Simon Bowers of the International Consortium of Investigative Journalists asks a very pertinent question, which you can read in full here. Some of the deals signed behind closed doors, brokered by accountancy firm PwC, known as “tax rulings” — meant some companies were able to pay less than 1 per cent tax in Luxembourg, stripping tax revenue away from fellow member states at a time when austerity has decimated public service provision and undermined basic human rights. While we applaud the investigations into the tax affairs of other companies and progress that has been made by the EU’s Competition Commissioner Margrethe Vestager, we have to wonder why she hasn’t investigated even one of the cases exposed by the brave whistleblowers Antoine Deltour and Raphael Halet. We’ll be covering this in our monthly podcast the Taxcast later this month, but the Tax Justice Network warned of an obvious conflict of interest when former Prime Minister of Luxembourg, and chief architect of Luxembourg’s rapid acceleration of its tax haven model Jean Claude Juncker became President of the European Commission. We’re by no means alone in calling for him to go, as this Bloomberg editorial demonstrates. “In court, prosecutors had argued the two men were not true whistleblowers because their leaked information had failed to expose behavior that was illegal. This has been Juncker’s argument, too. He has declined to go into details — claiming his role as Commission president prevents it, or accusing journalists of “offensive questions” — but he has generally denied any illegality. “Fiscal law was always respected. 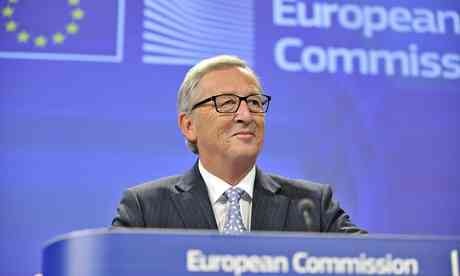 No illegal practice is known to me,” he told the European parliament. “Everything that was done was in compliance with national legislation and international rules that apply,” he told reporters. After years of court hearings Antoine Deltour and Eduard Perrin were finally acquitted, But Raphael Halet’s case continues. “If I were to be seen as exerting undue influence the result would be a massive loss of my authority as president of the Commission, and I certainly wish to avoid that. Good. Let’s see some action then. Let’s settle once and for all the questions about conflict of interest which have dogged his presidency. The big four accountancy firms always seem to manage to slink into the shadows on these occasions, especially as the EU Competition Commissioner is only empowered to investigate member states, not companies – yet if investigations into the LuxLeaks cases were to take place that would, and should expose them and their practices further as the brokers of rule breaking across the world.